This conservation resource was created by Christian Holzhey, Spencer Kreutz, Xiaoyue Lu. "A back road gem. Walter Baxter, CC BY-SA 2.0"
Urbanization is a trend that continues to remain consistent and dominant in our world today. Countries continue to expand infrastructure and grow industry in order to meet both global and national demands. As countries develop, rural landscapes are continually transformed into urban settings. In 1950, only 30% of the population lived in an urban setting compared to today where over half of the population resides in cities. ()This statistic continues to rise which sparks many questions dealing with conservation. Primarily, conservationists examine how to find new avenues of protecting the environment within the confounds of an urban setting. One possibility lies within golf courses since many urban cities have various golf courses within a close vicinity of them. While nothing overcomes the conservation value of an untouched piece of natural land, are golf courses the next best option? Being that golf courses often try to display and showcase natural beauty, do they also help conserve nature? While there is value to be found in golf courses, most of it is not actualized and remains as potential. Canadian’s have long had a love for the game of golf, although in recent years it has been widely debated whether some have taken it too far. Has this sport begun to hinder Canada’s vastly diverse ecosystems? Is it possible to reverse these effects, and who is there to help? Looking at the facts and piecing together some background conservation knowledge, it is possible to integrate a solution to benefit both the environment and the Canadian golfing industry.With around 2400 golf courses in Canada and only a little over 600 players per course, many believe golf is a dying sport. This lack of interest, if properly capitalized upon, can lead to excellent conservation opportunities. Depending on the zoning for a course, and taking location into account, there are typically two ways a golf course can go after shutting down. If possible, it is most likely that the land will immediately be purchased to be converted to multiple lots of town homes or apartment buildings. As with many aspects of society, money comes out on top to influence the final decisions. In a few, more rare cases, one may be driving along a back country road and see a slowly disintegrating “Privately Run Golf Course, Stop By!” sign; this indicates a whole new opportunity for those interested in preserving some of their local nature. Often times, when an individual, not a company, purchases a small golf course or a large portion of land on which to construct one, they are in it for the love of the game and the beauty of the place they live, above the money that they may be able to make. In a country with an aging population and what seems to be a worldwide loss of interest in golf, now may be the time that allows conservation to benefit most from the game of golf. When privately owned golf courses start to lose funding, the first things to go are typically any grounds crew that are not absolutely necessary for functioning. This allows much of the course, typically along the edge of hazards such as forested areas or waterways, to begin to grow back to a more natural state. These boundary zones are typically some of the most biologically diverse areas and provide excellent routes for a variety of fauna to travel safely across the partially developed landscape. If the course is able to operate in this fashion for some time, it does at least provide a more substantial habitat for some of the species it displaces. If the course must close, two things may happen. In most cases the land will be purchased for development and destroyed forever. However, if local government or non-government organizations are able to step in and buy the land to either refurbish and re-engineer the course, or convert the land into an area of preservation, an excellent conservation opportunity is presented. If it is decided that the course offers monetary value to the organization that purchased it, this can be used to compensate for the original purchase and work required and eventually be funneled back into more conservation efforts. If the course is not worth saving, typically in places where it would require a lot of watering and feeding, the undernourished land should be allowed to return to the natural environmental state of that area. In either case, the golf course, operating or not, continues to act as both a green and waterway. If a golf course is designed correctly, whether it is forty acres or four hundred, and follows some of the government and scientifically recommended actions for conservation, the life there will benefit, along with both the players and course owners. Being able to claim your course is fully environmentally conscience will bring in more customers, especially if you capitalize on the natural beauty available and use it to increase the value of your land at little to no cost. Increased vegetation along waterways helps to cool the aquatic environment, allowing fish to thrive along with providing plenty of habitat for amphibians to lay their eggs safely. Forest edge vegetation acts similarly and is an excellent place for many small animals to hunt throughout a variety of microhabitats, while always remaining under cover. This excess vegetation will only slightly increase the difficulty of the golf course and in some cases may provide an advantage to players, such as deflecting their ball away from the hazards so it is not lost to the ecosystem, in turn this is also a huge positive for the environment. If this plant matter becomes too obtrusive, it can be trimmed down and mulched to be used as natural fertilizer on other parts of the course, once again benefiting everyone involved. If an open minded approach is taken, and plans for long term success are formulated, such as maintaining and using the waterways and vegetation locally available, it is clear that a more natural approach to a golf course will end with the most advantageous results. In this section we welcome contributions from scholars and students that widen the discussion of strategies for conservation management of golf courses. Many recent studies have suggested that golf courses have potential value in their ability to provide urban refuge for native wildlife. However, some still argue that there is huge variation between golf courses and locations. For example, in Australia, a lot of golf courses only allow some urban-adapted wildlife that live in the area. Because of this situation, the protected wild species are limited and the rate of extinction of wildlife is high, making the overall conservation value of these golf courses low. 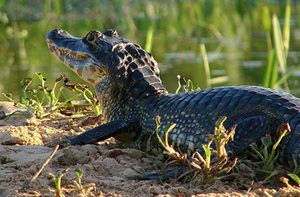 However, others argue that the suburban golf courses host a lot of native species of vegetation, which could support the conservation of smaller species of wildlife, for instance, birds, invertebrates, and some amphibians. In one study, scientists found that because their study area was larger than the small suburban golf courses, the could not apply the results to a typical suburban golf course. In other words, this study could not confirm that golf courses could provide a significant increase of the amount of wildlife under protection. In the United States, some scientists believe that golf courses have undiscovered value in conservation. They found that the development of golf course was more important than the protection of the biodiversity, and that value is mostly a result of different environmental conditions of the golf courses' locations. This statement caused some Australian scientists to note that, "It is important to determine the factors influencing the conservation value of golf courses in Australia." (Hodgjison, Hero, & Warnken, 2006). Based on this statement, the scientists found that most golf courses still share a few significant influence when considering conservation value. For example, there are always invertebrates in the grass soil of the courses, and the worms provide food for birds. Furthermore, because of the small pools in the golf courses, there are always some amphibians in or near by. As the rate of urbanization increase, the amount of amphibians will be decrease, leading to lower water quality, and an increasing number of pests. If the golf courses are developed, there is a high possibility that rarer species of amphibians will inhabit the courses because they provide better food resources and living environment. Some studies shows that suburban golf courses might decrease the genetic differentiation of some wildlife from high rate urbanization. On average, every 2.3 km could find substantial genetic differentiation in urban amphibian populations. (Hitchings & Beebee 1997). In this section we welcome contributions from scholars and students that widen the scope of conservations considerations posed in this case study. In the city of Vancouver, municipal government has also focused on the conservation value of suburban areas. On September, 29, 2015, the Heritage Conservation Area Official Development Plan was adopted as a by-law. It is intended to protect and rebuild " heritage character or heritage value of heritage property or a heritage conservation area". ( By-law, 2015)But not only golf courses, other suburban playground are also considered by the plan, such as lawn bowling club area, tennis courts. It shows people that not only scientists, but also local governments need to pay more attention the conservation value of suburban golf courses. Water consumption is a significant issue when determining the conservation value of golf courses. 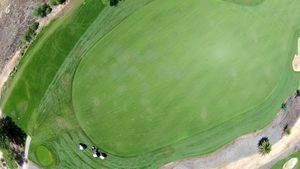 Golf courses are partly judged by the condition of their fairways and greens and as a result, they are often inclined to using more water than perhaps is necessary. According to the United States Golf Association (USGA), golf courses collectively in the US consumed 2.08 billion gallons of water per day in 2005 (). This statistic evidently indicates that golf courses have a negative impact on water conservation. While certain governmental acts, like the Clean Water Act, are in place to ensure standards for water pollution control (), little government regulation exists when dealing with water consumption. However, multiple water conservation approaches exist which possess the potential for improvement. Firstly, more than $18 million has been distributed by the USGA to university environmental grant programs since 1982 with the goal to develop new grasses that require less water and pesticides. The USGA states that certain cultivars of grass have been developed to use 30% to 50% less water while also being more tolerant in specific environments, thus requiring less pesticides. Irrigation technology has also been developed to improve the efficiency of golf courses. Examples being, on site weather stations and moisture sensors which help predict how much irrigation is required, new sprinkler head designs which are more efficient, storage ponds to capitalize on rainwater collection as an alternative water supply, and the development of reverse-osmosis desalinization plants to convert ocean water into irrigation water. The design and layout of a golf course can also be optimized to ensure proper drainage into storage ponds so that water can be recycled, as well as minimizing the amount of fairways and greens which require more water (). While technological developments, as mentioned above, contribute to the conservation value of golf courses, further governmental actions are required to properly manage and regulate the amount of water usage. One possibility resides in the implementation of further laws and fines that deter golf courses from consuming more water than they require. While this does exist in parts of the US, a more comprehensive, global approach to regulating water usage is required in order to truly solve this problem. Although golf courses do house potential to provide conservation value, this potential likely fails to exceed that of an area of natural, untouched land. Certain problems such as water usage and diversity concerns hinder golf courses’ ability to provide value in this way. However, it is important to consider factors that possess the capability to unlock golf courses’ potential. Firstly, technology continues to be a pertinent factor which has led to various conservation improvements such as saving water. The design of a golf course is another factor that can be improved upon to take advantage of recycling opportunities. Additionally, making intelligent decisions based on what to do with closed golf courses presents an opportunity to create more land for preservation. If governments are able to effectively regulate and implement some of these factors, then golf courses could potentially become a viable conservation option, especially for an urban setting. As our world continues to develop, we are faced with decisions as to how we develop rural land. From a conservation perspective, while golf courses may not be ideal, they posses the potential to become an excellent compromise between urbanization and conservation. In this section we invite contributions from scholars, students, and industry professionals that widen the scope of potential conclusions to be drawn from this case study.